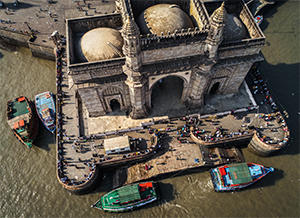 Mumbai, India – 21 February 2019 – Seagate Technology plc (NASDAQ: STX), a world leader in data storage solutions, today announced a partnership with international non-profit organization CyArk to digitally preserve the Gateway of India, a historic arch monument in Mumbai. 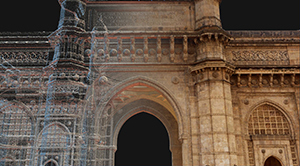 Digital scanning and archiving of the arch monument commenced earlier this month, with data and images from the field exercise being turned into photo-real 3D models for future generations of students, tourists and cultural heritage enthusiasts to experience the site virtually anytime and anywhere. 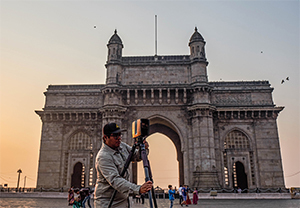 The Gateway of India was selected by CyArk as part of their international programme for digital preservation through aerial surveys conducted with drones, terrestrial laser scanning known as LiDAR, and photogrammetry exercises. CyArk will provide 3D models and architectural drawings, which will be used as a baseline to monitor the monument’s surface for any future changes in its condition. Seagate is supporting CyArk both in the field and the office with its data storage solutions such as the LaCie® Rugged® Thunderbolt™ USB-C SSD, DJI Copilot, 2big Dock Thunderbolt™ 3, and Seagate’s Nytro® SSD, BarraCuda® Pro 10TB, as well as other high capacity, high performance drives. These devices ensure that the massive 3D capture data files from the field are safely backed up, centralised, and ready for processing to create detailed maps and architectural drawings that aid in the conservation of heritage sites. The stored data is also used to share the monument through exciting, interactive virtual reality experiences for citizens, residents, tourists and academics alike while helping to preserve the design and architecture of the monument. 3D model composite showing data collected from Gateway.